Lincoln Wellington AC has the difficult task of defending two Northern Athletics Cross Country Relay titles on Saturday (October 21), while Chris Thompson goes for a consecutive win at the Great South Run on Sunday. Elsewhere, Bud’s Run returns for the fourth year in Birmingham and after finishing second at the York Marathon last week, Tom Charles hopes to go one better in Abingdon. 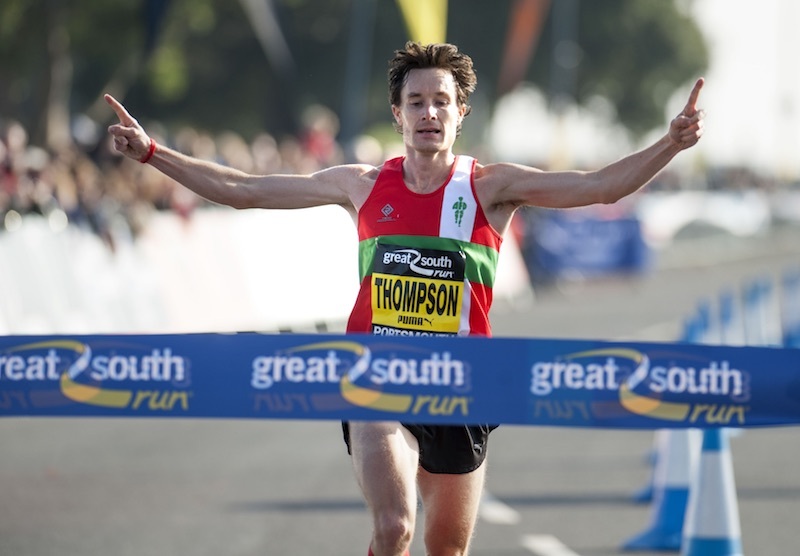 Chris Thompson aims for a consecutive Great South Run title on Sunday and comes into the race on the back of a superb win at the Great Scottish Run earlier in the month. Thompson won the race last year in 47:23 beating Andy Vernon in the closing stages of the 10-mile course. Thompson will not have it all his own way and lines up with tough challengers Ben Connor, Matt Sharp, Andrew Davies and Mick Clohisey. 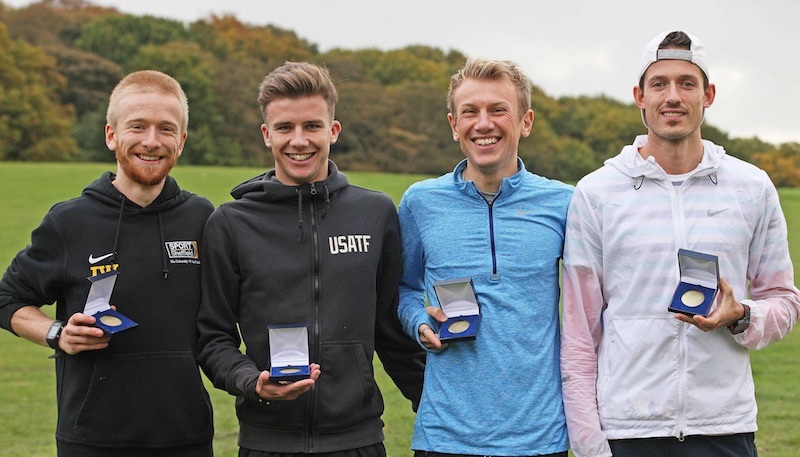 2017 National Cross Country Champion Connor has had a fantastic season that included a 10,000m personal best of 28:23 at the Golden Spike Meeting in the Netherlands in June. Matt Sharp was third in last year’s race and will be looking for another good performance on the South coast. The Enfield and Haringey athlete ran a quick 2:16:01 at Berlin Marathon only a couple of weeks ago but if recovery has gone well he will line up as one of the favourites on Sunday. Other marathon specialists include Wales’ Andrew Davies and Ireland’s Mick Clohisey, who both competed in the World Championships this summer. The ten-mile event always provides top-drawer competition and often sees marathon specialists moving down in distance and middle distance athletes stepping up. An athlete who falls into the latter category is Adam Clarke of Aldershot Farnham & District. He may well be one to watch having massively improved over the shorter distances in the last twelve months. There is a great line up in the women’s race. Gemma Steel comes into the race in great recent form after finishing 6th at the Great North Run in 71:32, her fastest time over the distance since 2015. Also coming into the race in great form is Charlotte Purdue. The Aldershot Farnham & District runner finished an impressive 13th in the marathon at this summer’s World Championships in 2:29:23, before she recovering well and taking second in the Great Scottish Run with 72:18. Other leading female entries include Katrina Wootton of Coventry with a 10k best of 31:46 and Tracy Barlow, of Thames Valley, who was also a marathon representative in London. 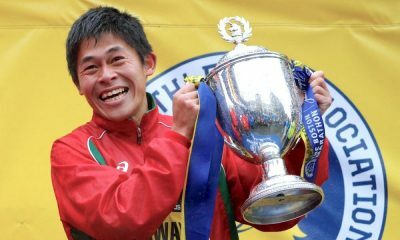 Sheffield Running Club hosts the annual Northern Athletics Cross Country Relays on Saturday at Graves Park. Last year’s winners, Lincoln Wellington AC will aim to defend their title and have already won the Northern road relays this autumn, before finishing third at the National road relays. Clubs hoping to challenge and provide some great grassroots competition over the 4×2 miles course include Sale Harriers Manchester, Vale Royal AC, Trafford AC and Derby AC. Lincoln Wellington made it a double last year, also taking top honours in the women’s 3×2 miles race. They face a difficult task repeating that feat with Leeds City ones to watch. Leeds have a strong group to choose from including; last year’s English national cross country silver medalist Claire Duck, GB Mountain runner Emma Clayton, Commonwealth Games steeplechaser Rachael Bamford, who is returning to competition after a long break, as well as Georgia Malir, junior European Mountain Running Champion 2014. With that kind of roll call, Leeds must start as favourites, however recent years have seen some good battles with fellow Yorkshire club Rotherham, who will also be gunning for the top spot on Saturday. Returning for a fourth year this weekend is the University of Birmingham staged Bud’s Run. The family 5k fun run was started by Bud Baldaro a well-renowned running coach in the UK, who has supported hundreds of middle and long distance runners of all standards. He has dedicated much of his life to athletics, including training at the university and travelling to events nationwide. 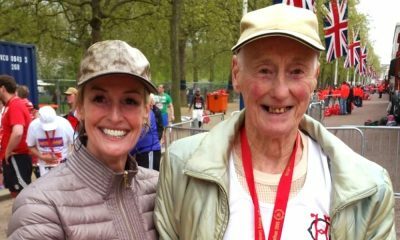 Sadly Bud was diagnosed with Parkinson’s Disease in 2009 but he is determined to use his love of running to help fund research into the long-term condition. Bud’s run has already raised over £50,000 and the team are hoping that the total will be over £70,000 by race day on Saturday. Although very much a family fun run, the race does attract some great British distance runners and this year’s favourites include Rob Bough of Edinburgh AC. He is the current men’s captain at Birmingham University and has a 3000m best of 8:23. Tom Dodd of Birchfield Harriers, a fresher at Birmingham, has a 1500m best of 3:47. Former Birmingham student Matt Jackson of Liverpool Harriers will also take to the start line and with a 5k seasons best of 14:19 he could well be the favourite for the win. Frank Tickner of Wells City/Kent who has previously finished tenth at the European Cross Country Championships also makes a return to racing. 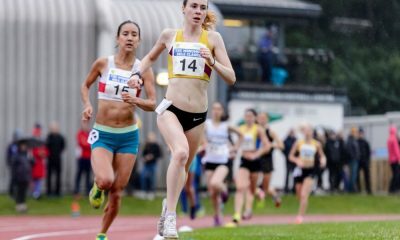 The women’s race also has a stellar line up including Julia Cooke of Birchfield Harriers who has a 4:12 1500m best and could be hard to beat, especially if left to a sprint finish. Louise Webb also of Birchfield had a fine 2016 breaking the 10-minute barrier for the steeplechase and placing third overall on the UK rankings. It could be a battle exclusively amongst the Birchfield contingent as Mari Smith also competes. 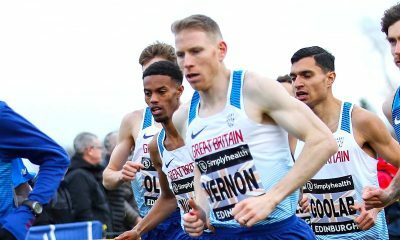 Smith represented Great Britain last year at the European Cross Country Championships finishing 25th in the U23 race and has followed a great winter with a 2:04.19 800m’s this summer. This combination of endurance and speed could prove hard to beat. In Oxfordshire, the mainly flat course of Abingdon marathon takes place on Sunday. The race starts and finishes at Tilsley Park athletics track and passes through the town, alongside the River Thames and follows a mostly scenic two-lap route through several nearby villages. Last year’s event was won by local athlete Paul Fernandez of Abingdon in 2:30:38 and Katherine Matthews of Chepstow Harriers won the women’s race in 2:58:59. 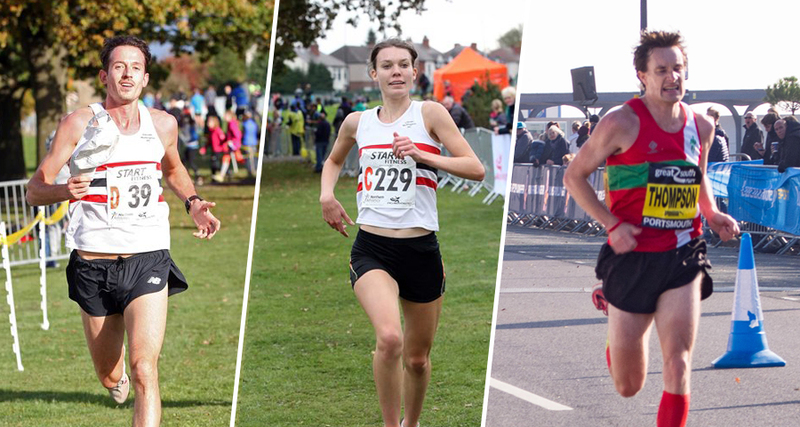 Leading entries this year include; Tom Charles who finished second at York Marathon last week in 2:25:52, David Broadley of Poole AC who has a best of 2:31:52 from 2016 and Joel Jameson who has clocked 2:30:40.